I found Japanese candles in Nippon Hyakkaten in Tokyo. It's in the new shopping place between Okachi-machi and Akihabara. The shop has various nice Japanese items. Although we didn't have much time, we couldn't leave the shop because there were lots of nice things for souvenirs. 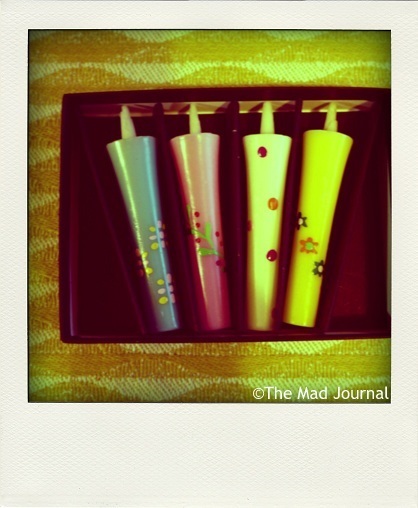 My favorite was this Japanese candles from Fukui. I fell in love with them because of their cute colours and polka dots! This is also candles. They are floating candles. You cut the string and float the ball on the water when you use it. I fell in love with it because of their colours and shape. I hanged it by the window. I bought it in Kyoto Design House which has lots of nice things from Kyoto. Some of them are expensive. But I recommend Kyoto candies in the small box. Each boxes are different retro design and all of them are cute!!! It's just right for souvenirs. I didn't buy clothes in Japan. 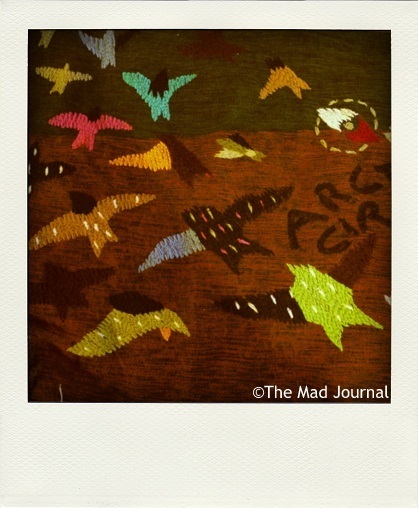 But I fell in love with this shawl from Marble Sud when I saw it in a magazine. I immediately searched where I could buy it in Kyoto and got it! It was a bit expensive for me, but I won't regret it. To be honest, I wanted the blue one, but the shop has only got this brown one. As a result, I love this colourful one. The best items I've got in Japan this time are the shawl above and this earrings. I fell in love with this clear blue....... It is French vintage. I bought them in the wagon shop in Shinpu-kan. I've been there since Shinpu-kan was built. In that time, the shop had the different name, but it's named Moccocu now. 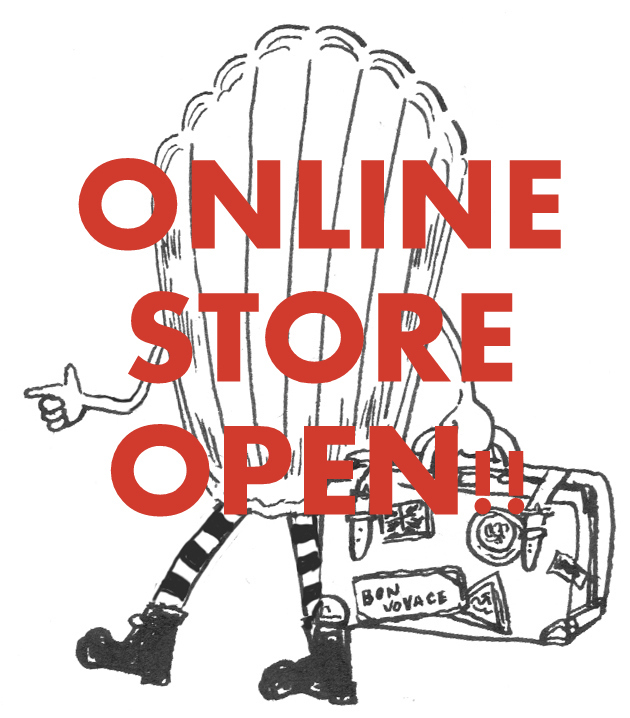 I love this shop so much that I always check new items when I go to Shinpu-kan. This is the select shop of accessory and goods designers. The designers have been changed since I found the shop, but the select line of the shop hasn't changed, all of the items is lovely. This earrings are from the brand called Lucy. Moccocu has a proper shop near Shijo Daimaru department store. I love the Shijo shop as well....... I'll show you another day. And now, I am going to sell vintage accessories in Moccocu. 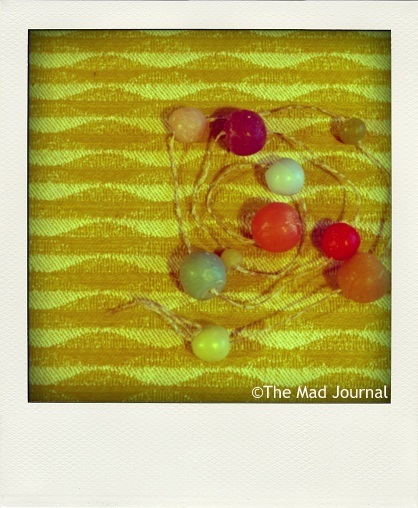 I chose so cute accessories from my favorite vintage market. It's only in January 2012. 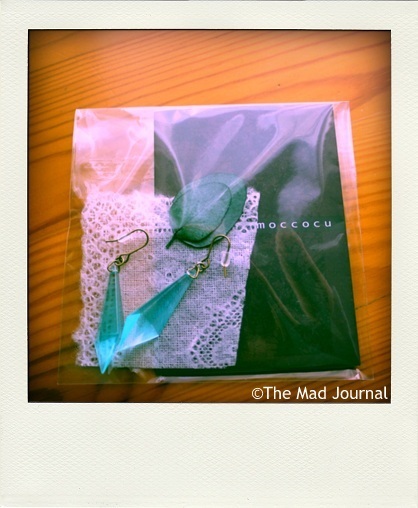 The details should be on the article with Moccocu Shijo shop.